I’ve tried plenty of gimmicky things in order to get my face under control in my many years of life on this planet. I can, however, say with confidence that I’ve never used a gadget involving light therapy or anything even remotely like it. So when Neutrogena released their light pen, I was pretty skeptical. 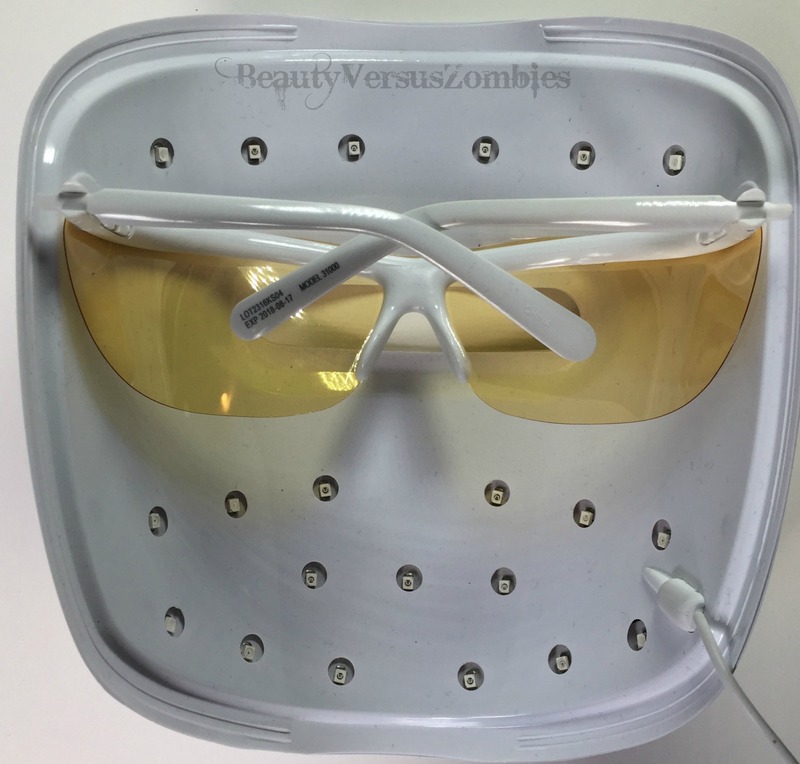 It was sold out on the internet and at all the convenience stores in my area, so instead of waiting around or placing an order that would be fulfilled who-knows-when, I decided to go whole hog and get the whole face version – the Light Therapy Acne Mask. I figured it wouldn’t hurt, but it probably wouldn’t do much either. One of the vagaries of my face is that during a particular time of the month I tend to get absolutely ridiculously deep cystic acne in one or two spots. I’ve tried multiple approaches to them. I’ve popped them, which leaves a huge wound which then both takes forever to heal, may make that spot more prone to cysts in the future, and then leaves me with a horrible red splotch on the side of my face. (More on treating those red spots in another post.) I’ve let them sit, which means they just keep getting bigger and bigger and more painful until either I go insane and pop them myself (see last sentence) or something happens that pops them accidentally, and then I have no idea how to make sure they get clean without aggravating them. Either way the results are the same. It’s bad. I haven’t been able to figure out a way to avoid it. My whole stupid face is like TT. The light therapy acne mask comes in a box. It’s pretty flimsy. It has temples, the long arms that you find on pairs of glasses. They fold in for easy storage of the mask when you aren’t using it, since the mask itself is not foldable. Inside, over the eye slot, are yellow lenses. And also, of course, the little LED lights. Running from the mask is a semilong cord, which connects to the “activator” (battery). The battery controls how long the lights on the mask work. You will need to purchase a new battery every 30 days, because that is how many uses it holds. You use the mask nightly, and each use is for 10 minutes. 7 uses left before I have to drop some more money. I want to take a side-step for a moment to talk about this battery. I saw in lots of comment sections and reviews on the internet that people are really irritated that you have to purchase a new battery every thirty days. While I absolutely agree that $15 is too steep for 30 days’ worth of masking, I understand why Neutrogena has structured its product this way. 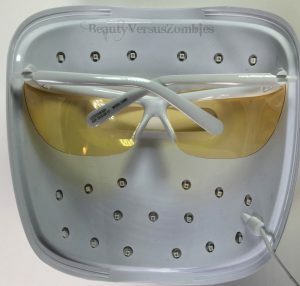 This mask is FDA-approved, which means it’s gone through rigorous testing to make sure that it is effective for the purpose advertised; however, it is only approved if it is used in the manner for which it was tested. That means you need to have a consistent light spectrum, consistent delivery times. That’s why the controller is the way it is. 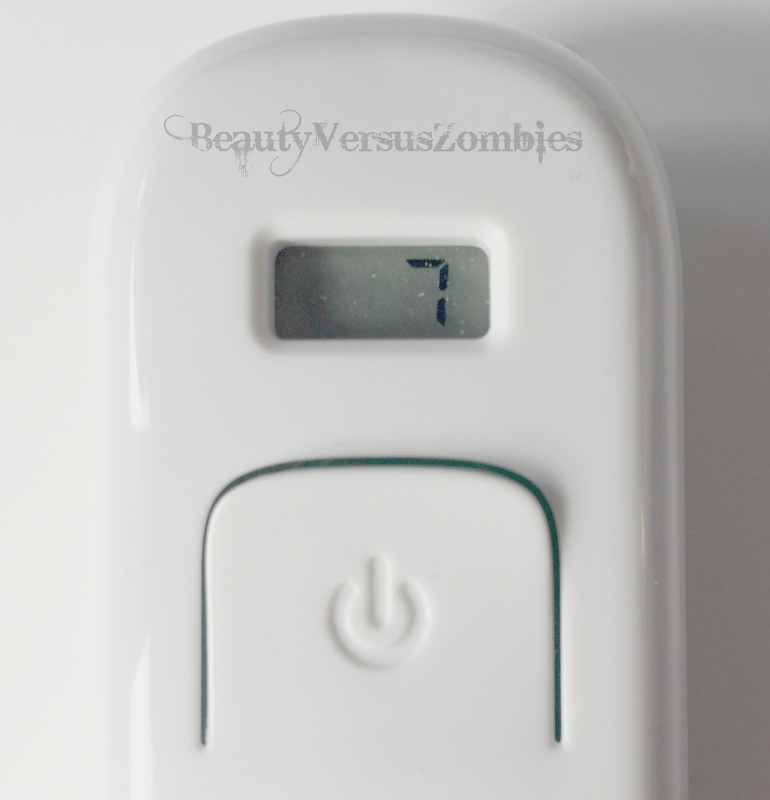 Could Neutrogena make the battery for 60 charges instead of 30? Yes, that would be a better value in my book; alternatively, they could halve the cost of the activator. But the suggestions that people re-wire the controller that they purchased make me incredibly nervous. I don’t take medicines in ways other than they are prescribed, so I wouldn’t treat a medical device (and despite the low-ish cost and ease of availability, that is exactly what this mask is) any differently. Maybe I’m over-cautious, but better that than the alternative! I didn’t take pictures of the cysts before I started using the mask, since I didn’t think anything would happen. My mistake. (Sorry! Also, they looked a little gross.) I’ll tell you how things went, though: I started off with a proto-cyst, which was basically a lump that was starting to hurt but that I couldn’t do anything with, and one full-blown cyst that I had already kind of accidentally popped a little bit. After the initial use of the mask, I noticed absolutely no difference. But the next morning, that baby cyst looked remarkably less mad at me, and the one that had started to pop was the same. Over the next two days, the baby cyst completely disappeared and the one that had started to pop began to get much smaller and less aggravated. It took about a week for the large cyst to disappear entirely – it seemed like because it had popped in one spot it was a little more difficult to heal. But now, after 22 days, I have no cystic activity on my face at all. While this mask was phenomenal in terms of my particular issue with cystic acne, there are some things it didn’t deal with. It’s only designed to help with acne type issues caused by bacteria in the skin, so anything else on your face is just going to stick right with you. So if you are stripping your skin, causing oil overproduction that’s clogging your pores, this mask won’t help. If you are using a product that you are sensitive or allergic to, this mask will do nothing. Perhaps you are overloading your skin with products that are clogging your pores. This mask isn’t going to fix it. If your breakouts are hormonally caused, you will get no relief here (unless it’s a combination of hormones and acne, as mine seemed to be – I still got extra oily and gross, but missed out on the cysts with the mask). If you are leaving your makeup on overnight oh sweet goodness PLEASE STOP. And also the mask won’t help the acne that comes from that. So at the end of my 22 days using the mask, I definitely still had some little whiteheads that came from overexfoliation or from testing new products that my skin didn’t agree with. The mask didn’t help with that, and I don’t expect that it ever will. 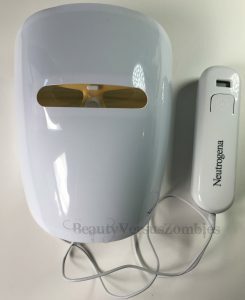 Neutrogena recommends using the mask daily. I’m not about to hotwire the mask to get more charges out of it before I have to go buy a new battery, but at the same time I didn’t notice any real effects in terms of brightening the skin or soothing it or anything. It just kicked the asses of the actually bacteria-caused spots that I had. And then was kind of bright, and not super fun to wear. So I’ll probably stop using this daily. I’ll only pick it up again when I feel another monster cyst coming on. If you intend to use the mask that same way, it’s decently cost-effective, since you’d use it for maybe a couple days at a time and then set it to the side until you need it again. Are there other alternatives? Absolutely. The first option, of course, would be to go see a dermatologist. If you’re like me, though, even with decent health insurance that’s a really big copay to get some antibiotics. You could also do Curology. That’s around $20 a month, so it’s a little more expensive. However, you also get a prescription that can contain extra stuff, like a retinoid or niacinamide or azelaic acid. 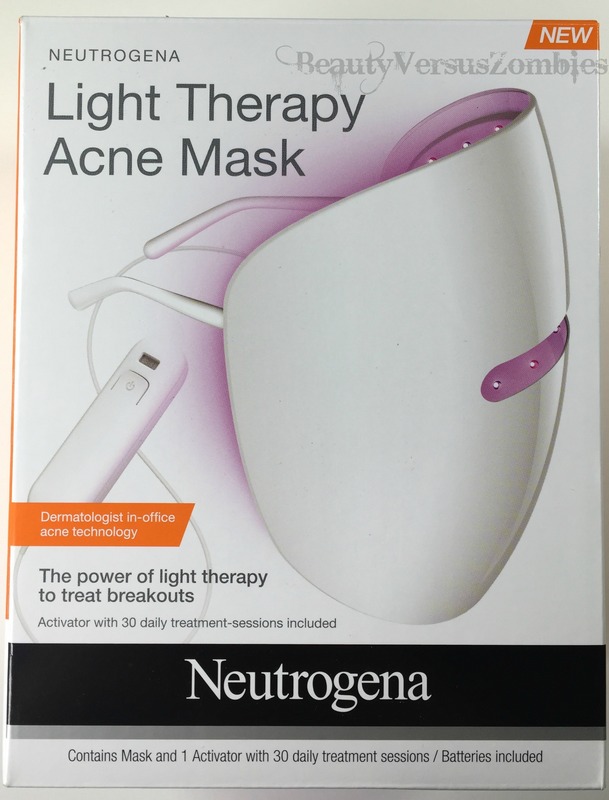 So Neutrogena’s Light Therapy Acne Mask is not your only hope. But if you decide you want to give the mask a shot, you can find it at Target, Walmart, Neutrogena, Bed Bath and Beyond, and a whole bunch of other places, ranging from $30-$35. 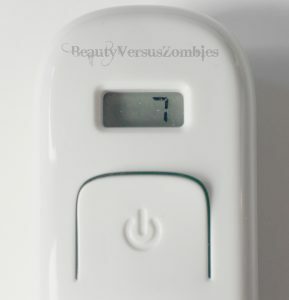 This entry was posted in anti-acne, device, Neutrogena and tagged health, review, skincare by BeautyVersusZombies. Bookmark the permalink.